As a funeral director, you take pride in helping individuals through a stressful time when they have lost someone and need help moving forward. When you employed the use of funeral home answering services, you expected them to convey the same professionalism, attention, and attitude that you bring to families every day. There are signs to look for that will let you know if the service you have hired is handling things correctly or if you need to look for a new funeral home answering service. Some of your calls are urgent, whereas others are routine and can wait for assistance during normal business hours. Some funeral home answering services don’t have the understanding—or don't take the time—to correctly decipher which need to be dispatched to you immediately and which calls can wait. If the service you have employed misses the mark on screening calls—one of their main duties—it can cause delays for families with time-sensitive needs. This practice is unacceptable and you should be looking elsewhere for answering services. 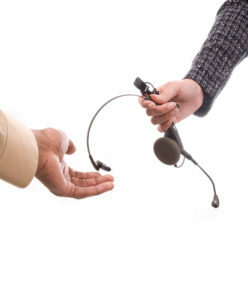 Finding an answering service that handles calls skillfully and kindly is essential. When you initially hired your current service, this may have been the case. Sometimes people have an off day, but when it comes to your reputation, you can’t afford to have sensitive responses to most calls; it needs to be consistently positive 100% of the time. You should be assured that every call will be handled with care from your funeral home answering service. The reason you hired an answering service was to take advantage of technology that allowed you to have a break. If the call specialists are consistently plagued with technical problems such as poor sound quality, background noise, incorrect call routing, or any other distractions that might cause callers to be unable to hear them properly, this is usually caused by outdated or unreliable equipment. Funeral home answering services should be operating with dependable technology and equipment. When hiring funeral home answering services, you are entrusting them with upholding your reputation. One bad call can cause damage to your funeral home’s name and send families elsewhere for assistance. Evaluate the service you have hired and if any of these red flags are raised, seek out other funeral home answering services that can properly communicate and handle your calls when you aren’t available.